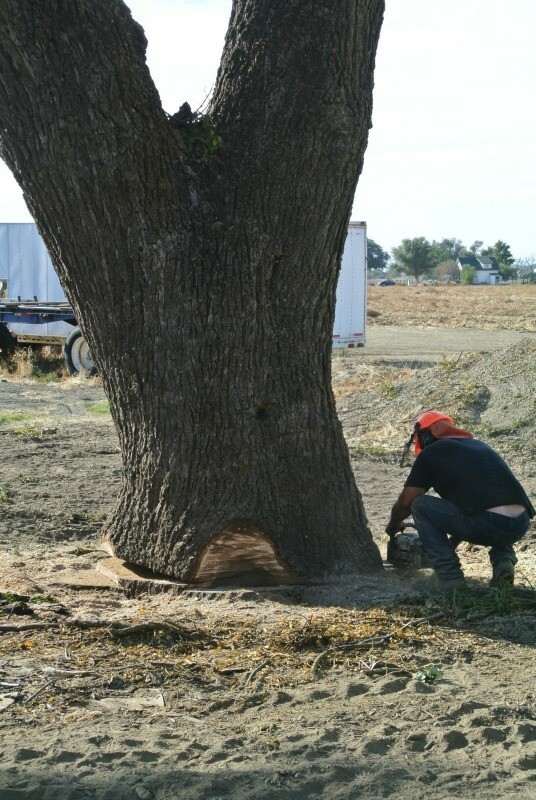 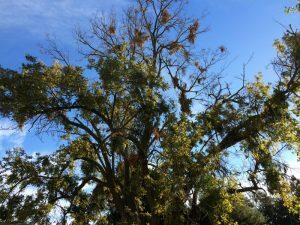 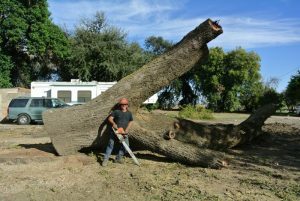 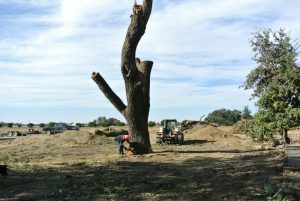 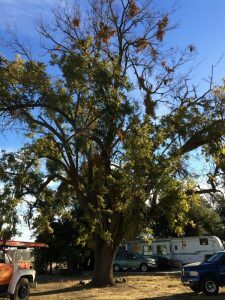 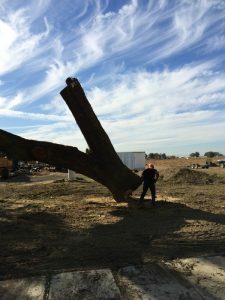 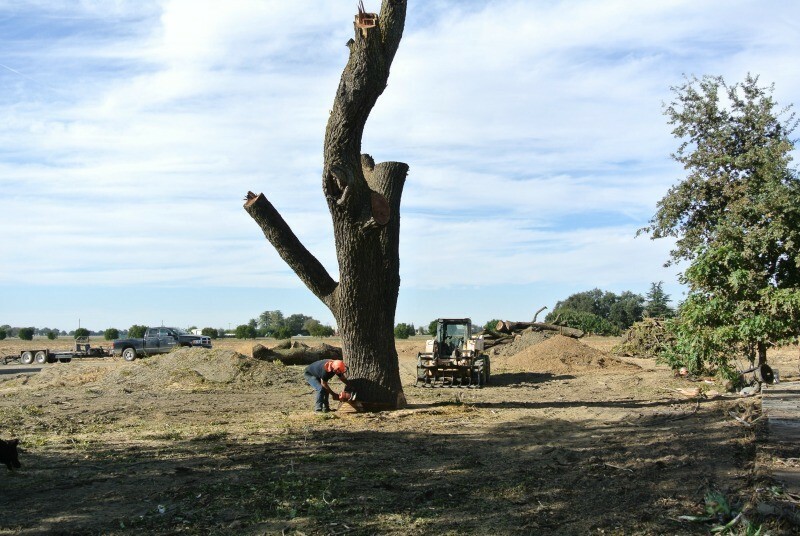 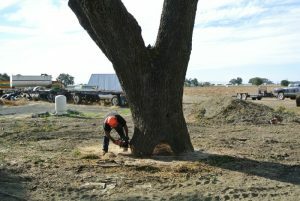 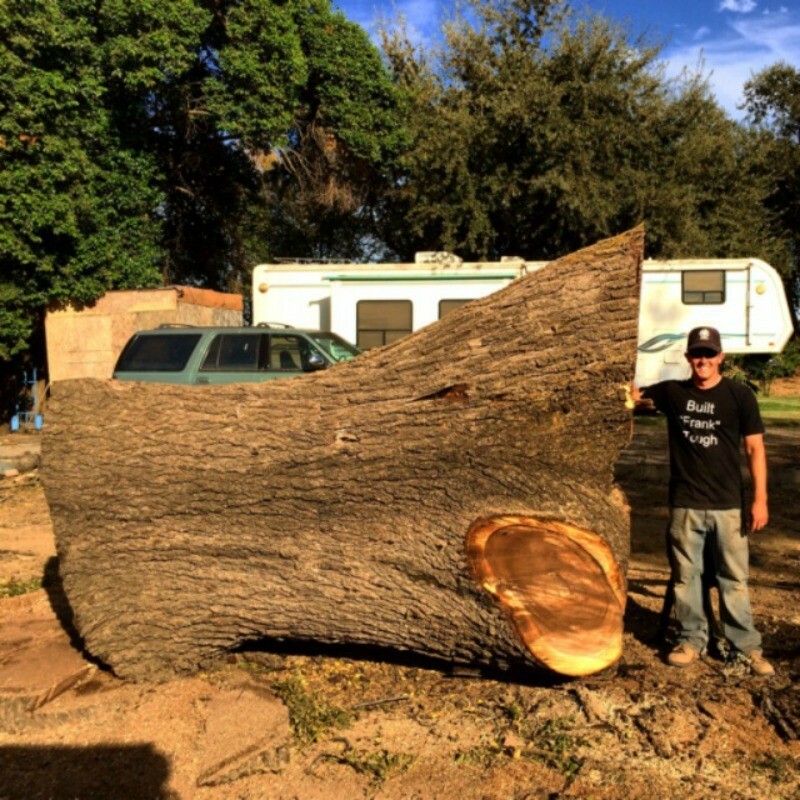 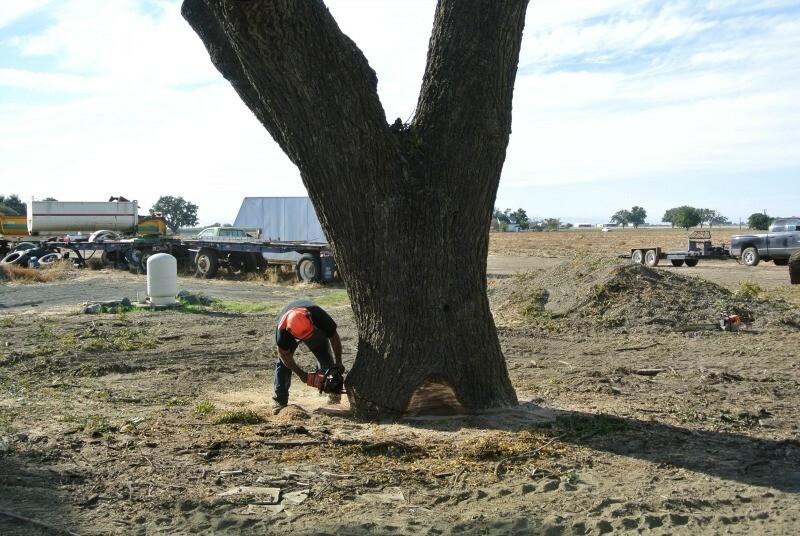 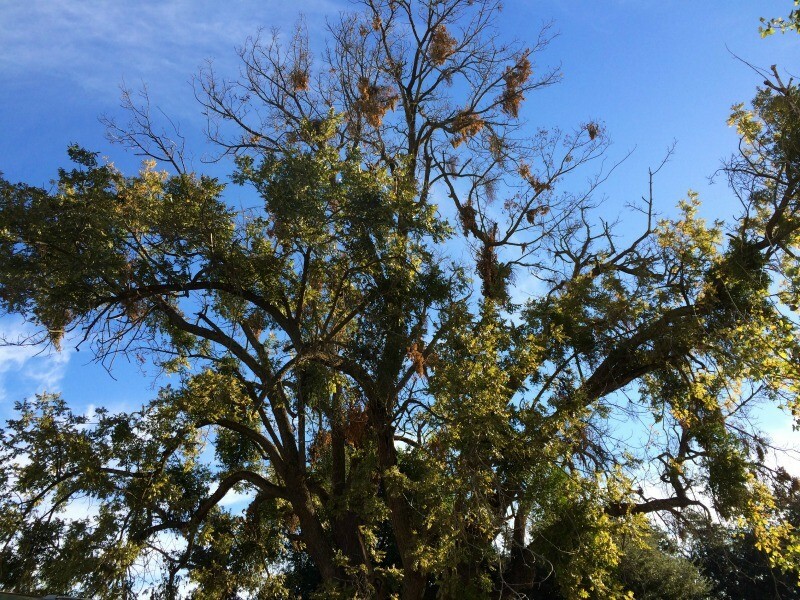 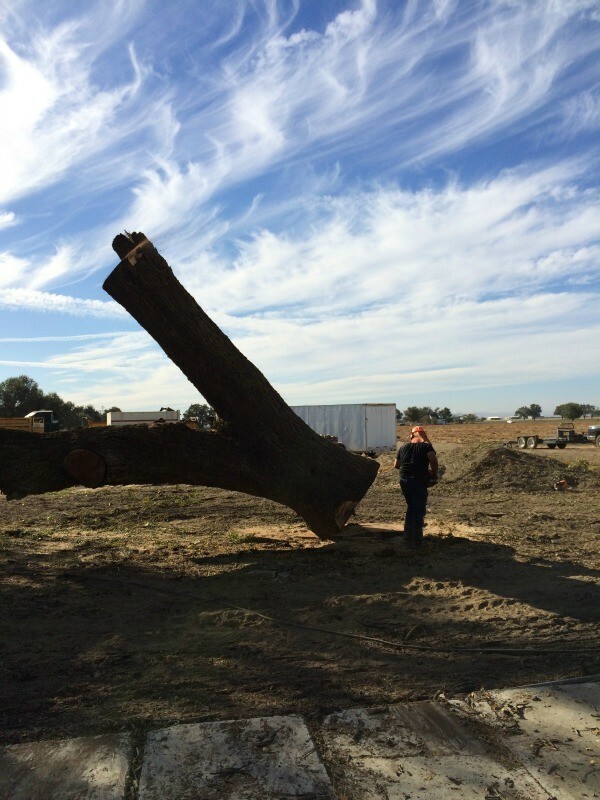 We recently were contacted by a farmer who had a large dying California Black Walnut tree that he needed removed. 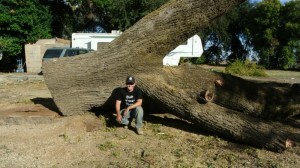 This tree was planted during the original settlement of this property in the late 1800’s. 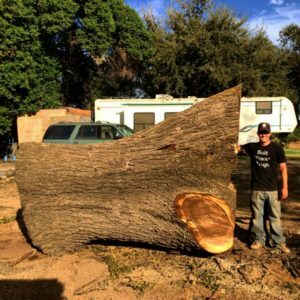 I can only imagine the stories that this tree could tell. The tree was half dead with quite a few dead branches waiting to come crashing to the ground. 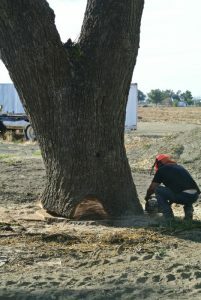 The trunk of the tree measured 9’ long and averages over 50” wide. 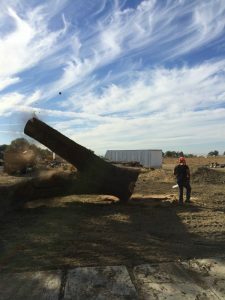 We were definitely blessed to be able to salvage such a beautiful tree. 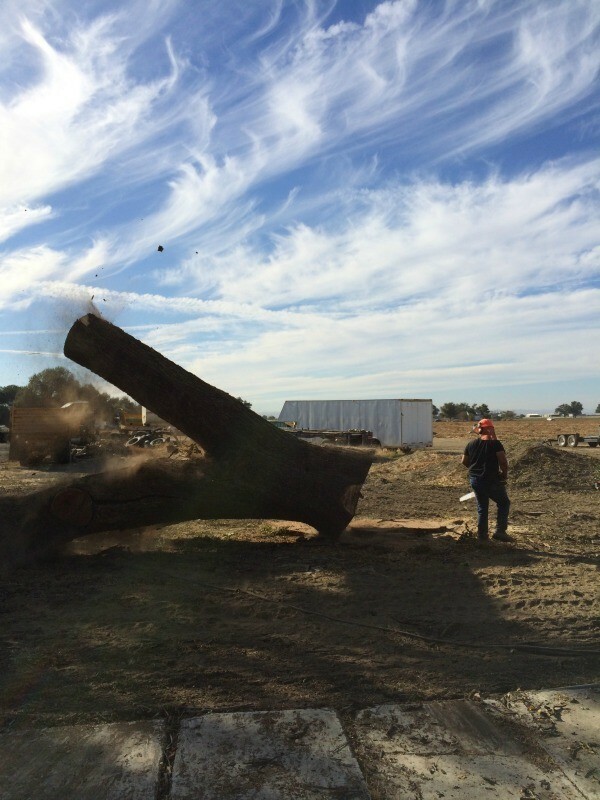 We will be milling the trunk into gorgeous live edge slabs within the next few months.